Taisys solutions can be separated into two major categories: Telecommunication and Banking. We focus on telecom solutions adapted for telecom operators and telecom value-added service providers. For non-telecom services such as banks, gaming, corporate service providers, etc., our products and solutions are designed for these sectors to enable them to issue their own cards independent of the telecom operators. The fast development of mobile communications technologies and market demands are creating increasing challenges to mobile operators. How to realize smooth transition from 3G to 4G? How to implement multiple SIM ownership has long been recognized as a problem in the mobile industry? How to provide additional higher value added services to mobile users in a secured and hassle free environment? How to attract potential subscribers and strengthen operator’s brand? Or these demand easy-to-do solutions. As innovative specialist in SIM industry, TAISYS has developed state-of-art Telecommunication products and applications based on SIMoME® technology. These creative products and applications provide the smoothest SIM based solutions with minimum impact on . Innovative slim membrane design (Slim-SIM), allows the user to attach the VTone Card onto the SIM/USIM cards of any mobile operator from around the world, providing dual-card, dual-number services on a single phone; intuitive STK menu interface for switching between numbers eliminates the need for removing / replacing SIM/USIM cards.. The solution is shared between an easy-to-use service menu housed in the smart card chip packaged and overlaid on the SIM, with both cards (SIM and smart card) to be inserted in the hand phone, and the Mobile Banking gateway implemented at the banks' site, whereas, it has been made possible by two major Taisys’patents, “dual IC card system” technology and its “method for providing additional service based on dual IC card”, the latter being branded as Taisys’ SIMoME® technology. The use of the smart card with a switching function, or Taisys’ Banking Security products, onto the SIM guarantees the security, as it is a fraud proof device that also stores cryptographic keys, algorithms and process data. 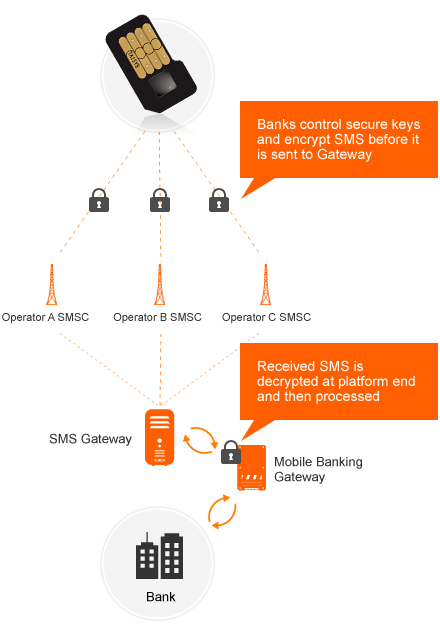 All the information that is processed and encrypted before being sent over the mobile operator's network and is only decrypted at the Mobile Banking gateway, where the authentication is done. 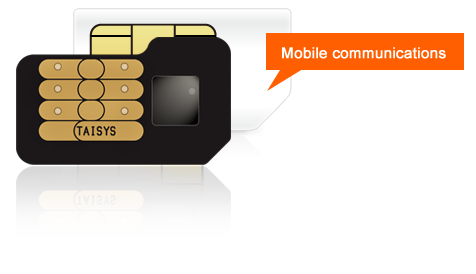 Utilizing Taisys’ patented SIMoME® technology allows the traditional legacy SIM card to be issued in a new form factor that allows it to work with another SIM card in the single SIM card slot of the mobile device. 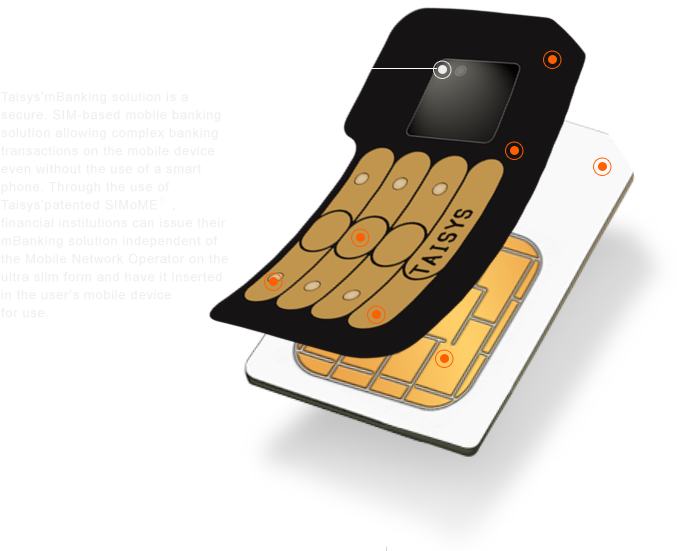 Through this technology, the single SIM card slot (which is common and available in almost all mobile devices) becomes capable of containing two SIM cards. 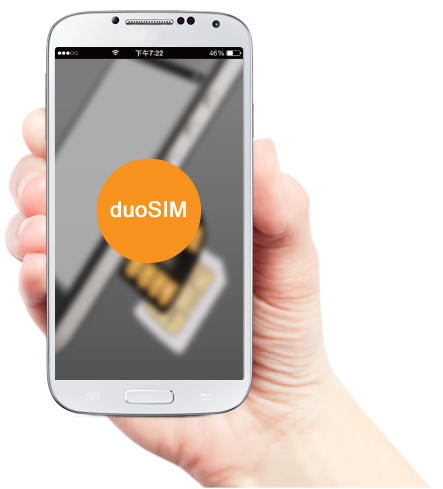 By issuing the duoSIM, operators could provide more Value-Added Services or even adopt an aggressive customer acquisition and retention plan.